As we mentioned a couple of weeks ago, we have a new studio down in the marina at St Peter’s Basin, on the Newcastle Quayside. We have now officially moved in, and would be only too happy to welcome you down to the new Union Room HQ for a catch up. Don’t worry, we haven’t moved far. We’re a mere 5 minutes down the road from Hoult’s Yard, on the edge of the Tyne. The move has been primarily driven by the need for more space, better parking, and the lovely view of the yachts on a sunny day. When we can tear ourselves away from daydreaming about buying yachts, the team are hard at work on some pretty big projects and we’re still looking for the right new additions to the Union Room team. Fancy a career at Union Room? When we moved into our previous space at Hoults Yard we were a much smaller agency with smaller requirements. We needed far less desk space, a single meeting room, and one kettle and a Nespresso machine was more than enough. Now that our team has grown, our client-base is bigger and better than ever, and our discerning taste for caffeine has quadrupled. This office move marks a pivotal stage of development for our growing digital agency. In support of our growth plans we’re on the hunt for a new Digital Designer so if that’s you we’d love to hear from you. Pool-playing skills would be a bonus but by no means essential. 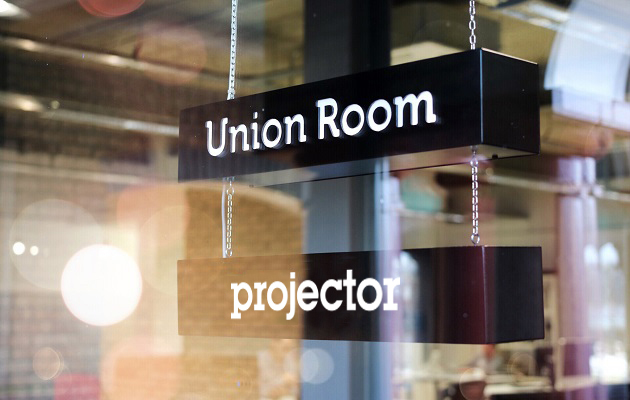 If any of this sounds like a good fit and you’d like to join Union Room, we’d be only too happy to welcome you into the new studio, now that we have the extra room with a much bigger creative working space, areas for relaxing in, break out areas for working away from your desk, and two light meeting rooms so we can say “yes” to coffee with two clients at a time. And we’re even closer to the pub for early finishes on Friday afternoons. We look at this new location as the start of another chapter. We’re still getting settled in and adding artwork to the walls, but we’re incredibly excited to be in the new space and it’s certainly helping us to hit the ground running in terms of delivering on the many, and varied, projects we have on the go at the moment. Currently Union Room is a very exciting place to be! We’re looking forward to welcoming new members of the team, and new clients, through the door, along with all of our existing clients and people we’ve been working with for a long time. For people who don’t know us, it’s a much more comfortable and inviting environment for you to learn about us and what we do. If you’d like to come in to discuss working with Union Room please get in touch. By that time we might have perfected our latte art too. You’ll find our new address here.